I’m probably not the only one who felt slightly disappointed the first time they visited Aveiro. It’s marketed as the Venice of Portugal but although the city centre has canals and pretty boats, the similarities end there. Don’t get me wrong – the historical centre and nearby Ria de Aveiro lagoons are undeniably attractive and there are several things to do in Aveiro but I think it’s only fair to give you more realistic expectations. Read on to find out what to see in Aveiro and the surrounding area. A few of the canals run through the heart of Aveiro’s historical centre. If you want to take a trip on one of the beautifully painted traditional boats (moliceiros), there are no shortage of tour operators willing to oblige. Most will do a quick tour of the city canals but some boat trips will also take you out into the lagoons so check what’s included before embarking. Note that this is a very touristy thing to do and, though relaxing, you could just as easily walk or use a bike (you can borrow free ones from a kiosk near the municipal market – take ID and your own lock) to explore the small city centre and its canals. Tip: If you do decide to take a boat trip, there’s no shade so use sun protection on hot days. Before carting tourists around, these moliceiro boats were originally used for collecting seaweed to be used as crop fertiliser or transporting other goods. Take a closer look at the colourful paintings at each end of these boats – some are rather saucy! The lagoons of Ria de Aveiro have been a major salt-producing centre for centuries. Back in the 12th century, they produced enough to supply the entire country as well as exports. Times change and new techniques introduced in the 20th century combined with environmental factors all but destroyed the salt industry in Aveiro. Artisanal salt production still goes on and you’ll see evidence of this in form of prettily packaged top quality salt crystals and flor de sal that you can take home to flavour your dishes. 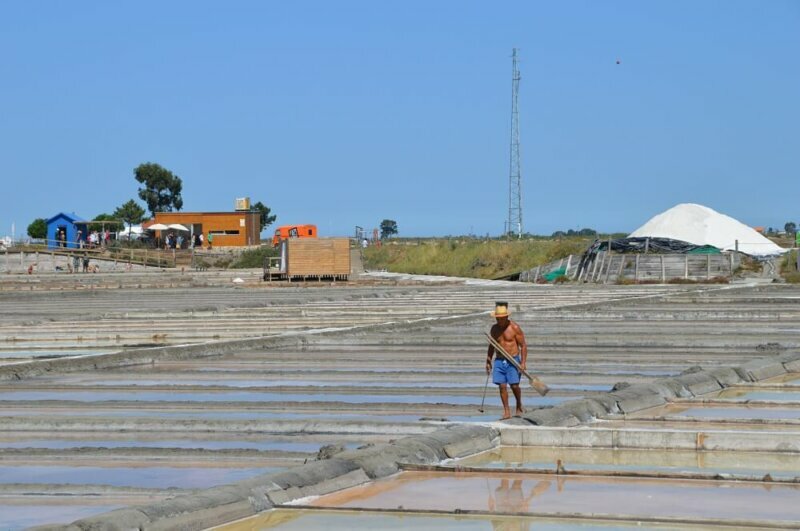 It’s also possible to visit the salt pans and pyramids at the permanently open Ecomuseu Marinha da Troncalhada. Mike and I took a guided tour of the neighbouring Cale do Oiro pans and learned how the pools are organised to control the flow of seawater and filter out impurities before the Marnoto, the salt master, manages the harvest of the salt crystals. I was surprised at how the delicate flor de sal is made, and how greasy this thin film of crystals feels in the water. One of these salt pans has been transformed into an outdoor spa (seasonal). For 4 euros (or 7 with a guided tour) you can go for a dip and cover yourself with mineral-packed salty mud at Piscina e Spa Cale do Oiro in Marinhas Grã Caravela e Peijota (Tel: 234097573). 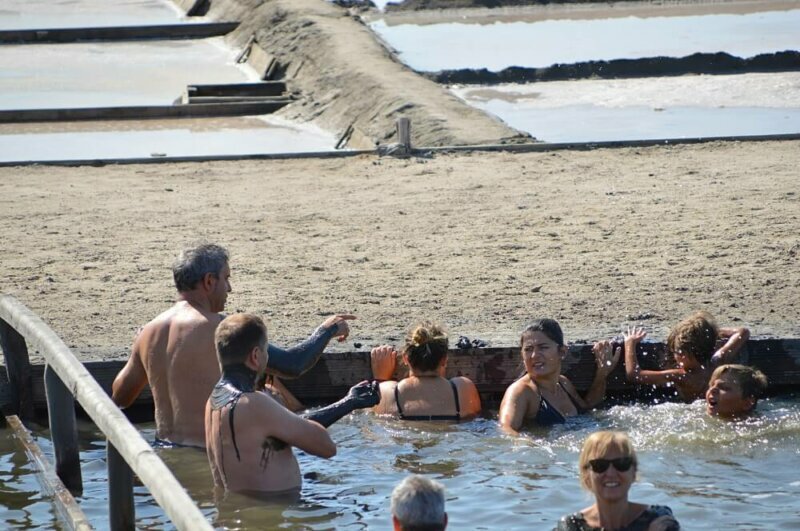 You have to scoop up wet mud from the base of the salt pan and pile it on the side so that you can plaster it over your skin (don’t wear your best swimming gear – it will get dirty). Then lie in the sun and let the mud dry before getting back into the water to rinse it off. Your skin will feel wonderfully soft. I also enjoyed an exfoliating massage using salt crystals and other lovely products in a rudimentary shack overlooking the salt pans. Salt pan mud spa. One of many things to do in Aveiro. As is the case in most Portuguese cities, Aveiro’s pavements are far from boring. Here, the black and white calçada take on maritime motifs, swirly circular patterns and geometric forms that will make your eyes go funny if you stare at them for too long. Aveiro must have been booming during the first part of the 20th century if the abundance of extravagant Art Nouveau architecture is any indication. There is a route you can follow if you don’t want to miss any of these gems but you’ll see plenty just by walking around the historical centre. The beautiful blue building on Rua Dr. Barbosa de Magalhães is one of the best examples and is now home to Casa de Chá, a café with outdoor garden, and an Art Nouveau museum upstairs. To be honest, I wasn’t overly impressed by the museum; too much writing and not enough exhibits for my liking but it was only 1 euro to enter so don’t let me stop you from checking it out. Another of Aveiro’s unavoidable decorative features is its ceramic art. Spanning the traditional blue and white painted tiled panels that grace the train station and other buildings, a ceramic mural dedicated to the city’s fishing and salt-producing industries and contemporary ceramic objects in the craft and souvenir shops, there’s plenty to admire. If you’re particularly interested in ceramics, see #12. For me, the highlight of the Museu de Aveiro is the marble tomb built for Princess Saint Joana, who resisted various attempts to marry her off and devoted herself to religious pursuits. She lived in the 15th century Dominican convent in which the museum is housed. You’ll find several paintings of her in the museum as well as other artworks and artefacts. Avenida de Santa Joana. Open Tuesday to Sunday: 10:00 – 12:30 and 13:30 – 18:00. Closed on Christmas Day, New Year, Easter and on May 1st. I’m not a fan of modern shopping centres but of all the ones I’ve seen, Aveiro’s appealed to me the most. Many of the shops are chain stores that you’ll find in any Portuguese city but the Forum complex is largely open air and built alongside one of the canals. Far more interesting from my perspective are the contemporary craft shops, boutiques, themed cafés and gourmet stores that have cropped up in recent years. Rua dos Combatentes da Grande Guerra and Rua do Principe Perfeito have several. There’s also an outdoor craft market by the main canal next to Jardim do Rossio where you can see artisans at work and buy unique souvenirs. If you’re a fan of local food markets, there are two places you should check out. One is the indoor market at Praça do Mercado, the other is the fish market in Praça do Peixe. Although I’ve been to Aveiro several times, I’ve never been there at the right time of day to witness the fish market in action but if you go in the morning, you should be able to see fishermen bringing in and trading their catch. One thing you won’t escape in Aveiro is the local delicacy, ovos moles. If you like heavily sugared egg yolks encased in rice paper, you’ll be in heaven. If not, I’d stick to having a nibble of one as they are rich and pack a serious sugar rush punch. I was far happier to discover Gelados de Portugal (Ice creams of Portugal), a relatively new company making artisan ice cream from Portuguese flavours such as requeijão (ricotta cheese) and pumpkin jam or locally grown blueberries. The company now supply supermarkets and selected cafés in Coimbra and other cities so you can enjoy their ice cream even if you haven’t got time to visit Aveiro. While there are plenty of things to do in Aveiro, its attractions extend beyond the city centre. Just a few kilometres outside the city centre lies a charming fishing village called Costa Nova. If you take a guided tour to Aveiro, it will inevitably include a stop here. Otherwise, you’ll need to make your own way by car or bus. What you’ll find is a sandy dune-backed beach, a fish market, lots of fish and seafood restaurants and brightly painted striped cottages. Tip: The prettiest cottages are on the lagoon side of Costa Nova, just north of the fishing harbour on Avenida José Estevão. Tip: Barra beach, just north of Costa Nova, has calmer water thanks to the jetty and a lifeguard. This full day Aveiro tour from the Porto area includes time in the city centre, the salt pans, Costa Nova and the nearby São Jacinto Nature Reserve. Mike and I were both impressed by the Museu Marítimo in the neighbouring town of Ílhavo. Although there’s not a great deal of information in English, the displays are visual enough that you can learn a lot about Portugal’s traditional cod fishing industry. I had no idea that each fisherman had to leave the main ship and venture into the high seas to line fish. No mean feat! 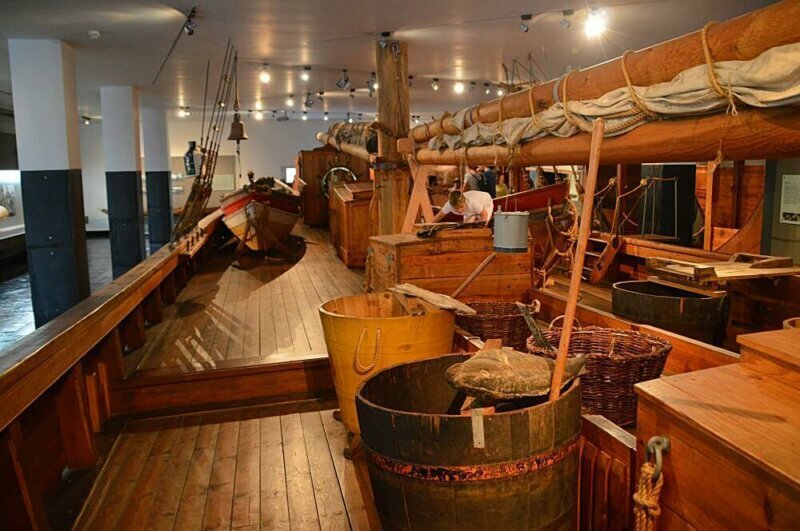 There’s also a room with life size replicas of the different shaped boats developed to serve specific local needs, such as the moliceiros and salt boats, and lots of smaller models of all manner of boats. An onsite aquarium contains live cod and other members of this fish family. The purpose-built museum building has won architectural prizes, although it spits you out in a different place from where you leave your car, which had us wandering around a housing estate until a man pointed us in the right direction. Av. Dr. Rocha Madail 193, Ílhavo, Aveiro. Open Tuesday to Saturday 10 am to 6 pm and 2 pm to 6 pm on Sundays. I was unsure just how much fun a porcelain museum would be and delayed visiting the Vista Alegre Museum for several years. Having finally made the effort, I’d say it’s definitely worth it. The museum is housed within the village that was built for the workers. Use the audio guide (one of the voices is unnecessarily annoying but the content is generally good) to get the most out of the experience and help you appreciate things like the huge kilns, the art school and the whole community, which even had its own fire brigade. The chapel is only open for visits at set times – see the list on reception – and is in Portuguese. 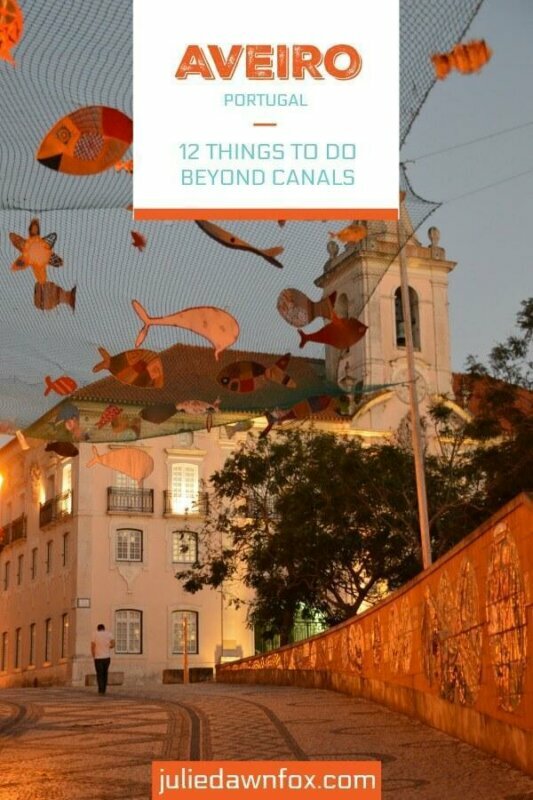 There is a leaflet in English that will give you some explanation of the exquisite artwork inside but if you want an actual guide in English, email the museum to organise this in advance: museu@vistaalegre.com. Open daily from 10 am to 7 pm (7:30 in summer). Full details on the museum website. 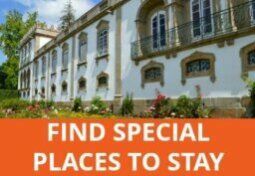 For a charming, centrally located hotel, you could try the 4-star Hotel Moliceiro. Rooms offer a range of decorative styles so pick one that suits your tastes. 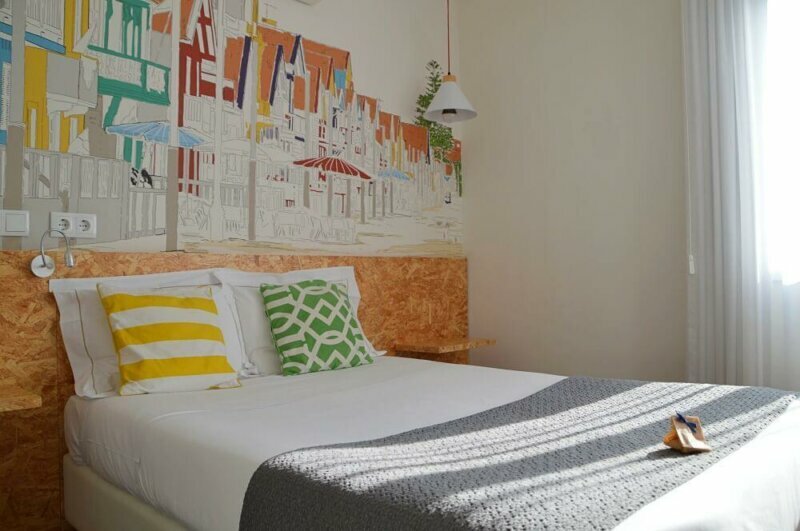 If you appreciate Art Nouveau, you should like OC Salon Charm Hostel & Suites, which is in a beautiful old townhouse in the heart of the historical centre. While most rooms have shared bathroom facilities, there are some that have private bathrooms so make sure you book the right room for your needs. Aveiro is on the main train line that runs between Lisbon and Porto so there are many daily connections and the Rede Expressos coach company call in here. It’s also well served by motorways if you’re driving. If you don’t fancy making your own way there, you can do a half day tour from Porto that includes a boat trip on a moliceiro as well as a visit to the colourful fishermen’s houses by the Costa Nova beach. If you have a day to spare and want to combine Aveiro with a trip to Coimbra, you could do a full day tour. 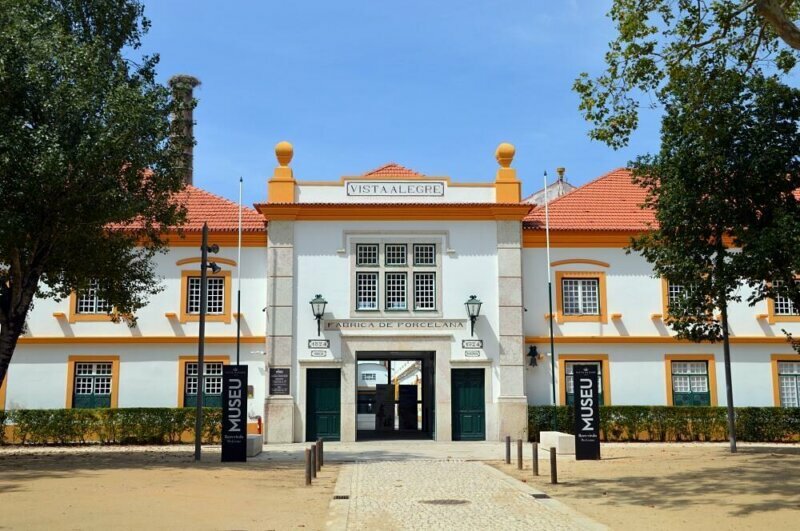 Gastronomy & Wine Meets Art goes to the Vista Alegre Museum as well as the underground art gallery and winery of Aliança and an actual above ground winery in Bairrada. Lagoon And The Fishermen Villages takes you to Costa Nova as well as Aveiro historical centre. Disclosure: Some of the links in this article are to trusted partners like Booking.com and Get Your Guide. If you book via these links, there’s no difference in the price you pay but I may receive a small fee that goes towards the cost of running this blog. Thanks for your support. 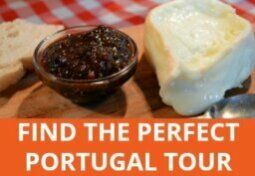 Next Post: When Is The Best Time To Visit Portugal? For Art Deco read Art Nouveau, sorry! I don’t know about Aveiro’s own marketing strategies but the Centro de Portugal tourist board has been and still is plugging the Venice analogy for as long as I’ve been here (11 years and counting). My mouth is watering at the thought of this. Glad you had a wonderful meal, Sylvia. It was always my belief that although commonly and lazily referred to as “the Venice of Portugal”, Aveiro sensibly avoided the comparison. Has the town actually started to promote itself with this slogan now? It’s a lovely place anyway, with some Art Deco architecture unique in Portugal and some really good food. We went to a fantastic fish and seafood restaurant in the fish market, Cais do Pescado. We had massive tiger shrimps, stuffed crab and dory. The fish soup was world class. Downstairs is a cafe. If it hadn’t been recommended by the hotel we would not of gone there. Upstairs is a beautiful restaurant with very good service. I haven’t been to Aveiro for quite a few years, but it’s a town I enjoyed visiting. Those ice-cream flavours sound delicious. I gess what Aveiro’s visitors are missing is its history, stories and tales: Did you know that liberal revolutions (1828) started there, so Aveiro is considered the Birthplace of the liberty in Portugal? Also one of the most significant figure of the carnation revolution (1974) Zeca Afonso was norn here and is music is all around. If you come to Aveiro, please don’t go away without geting aquainted to it. Aveiro is also a great place to eat fish, incluing eels. We like “O Mercantel” which has first floorwindows onto the fishmarket canal, although the entrance is in a parallel street. Lively (if a bit noisy) and always full of locals. 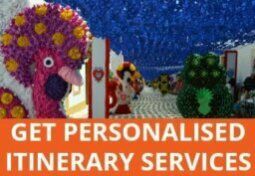 Friendly service and very reasonable prices. Also the small and intimate “Tasquinha do Confrade”, tucked away in a backstreet near the fishmarket. 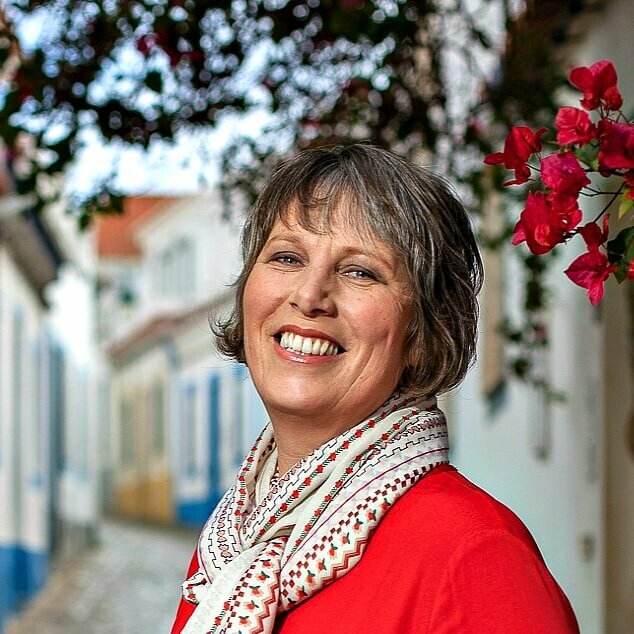 Thank you, Julie, for this post since we are planing to spend a couple of days in Aveiro this Fall. Your article has served to outline our itinerary and found us a place to stay. Now, any good places to eat? 20 odd years ago I went to Aveiro and saw joiners making lovely wooden fishing boats. I haven’t been back since. Do they still make them there? I do hope so. Aveiro isn’t the only place to be compared to Venice and set people up for a bit of a disappointment. Birmingham – hard to believe – is another, though it does have more canals than Venice. I think you’ll really like it. It’s grown on me a lot since that first visit and I know lots of people are very fond of Aveiro, too.